Axelsen pulled off his shirt in jubilant celebration as he beat Srikanth 21-7, 22-20 in 36 minutes at Delhi’s Indira Gandhi Indoor Stadium. “It is great to win the tournament. I don’t know what to say, it is always a confidence boost, especially after the All England final, it is nice to win here,” said Axelsen, who was the runner-up in Birmingham earlier this month. But Srikanth, who played his first final of a BWF world tour event in 17 months, came back in the second game to match the Dane with some good returns as he led 20-18. Axelsen saved the two game points and went on to win his second India Open title after his 2017 triumph. “You need a little bit of luck, I had a lucky net chord. 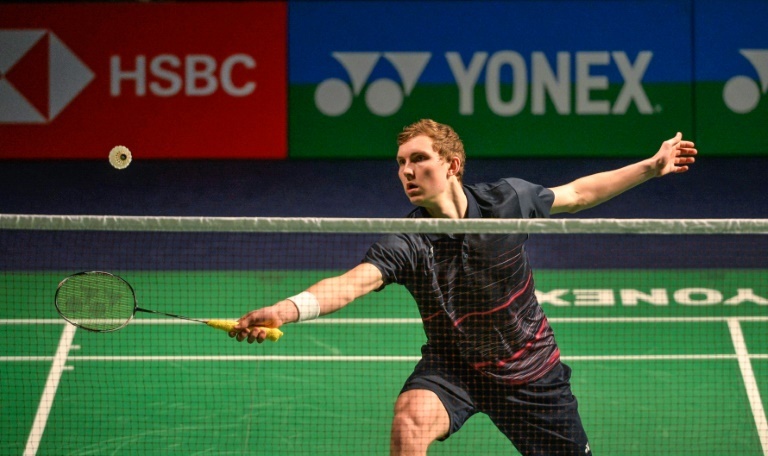 Failure is not far from success, that’s how sports is, it is fragile,” said Axelsen. Earlier the fourth-seeded Intanon registered her first win against He, ranked seventh in the world, in five women’s singles meetings. The Thai player bounced back after losing the first game to upstage He who had taken down last-year’s champion Zhang Beiwen in the quarter-finals. In the doubles, the Taiwanese pair of Lee Yang and Wang Chi-Lin won in the men’s segment while Greysia Polii and Apriyani Rahayu of Indonesia clinched the women’s final.